The Ballad of the Great War - 1918, featuring stories told by men and women who took part in the conflict alongside original music composed for the programme. The Ballad of the Great War - 1918, featuring stories told by men and women who took part in the conflict both at home and abroad. In this programme stories of Blightys, Snipers, Choctaw code talkers, the Armistice and the sinking of the German fleet in Scapa Flow. 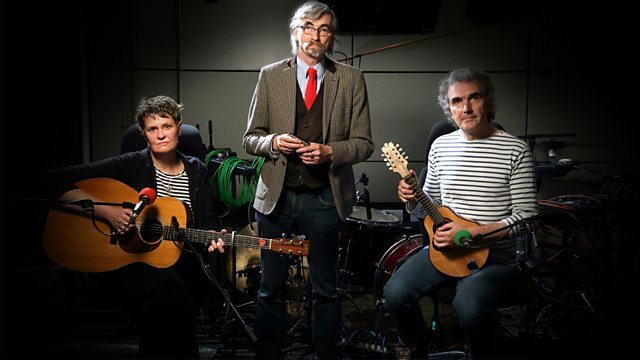 Original music by John Tams, Julie Matthews, Jez Lowe, Boo Hewerdine and Kris Drever. This programme, which has been a year in the making, was produced by Ian Callaghan and John Leonard. Reflections at the 100th anniversary of the end of World War One.